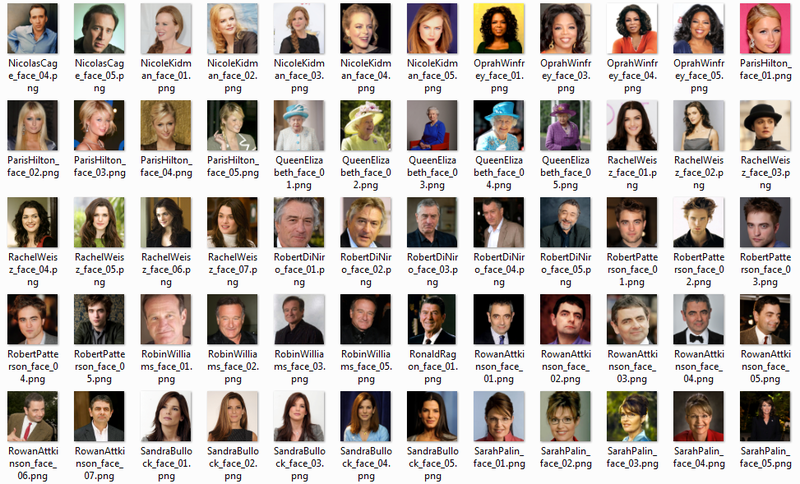 My paper on online decoding of visual attention used a lot of pictures of famous faces and famous places. Here you can download the entire stimulus set I used. Contains of pictures of famous politicians, actors, singer, terrorists, religious leaders. All pictures are under different lighting, pose etc. 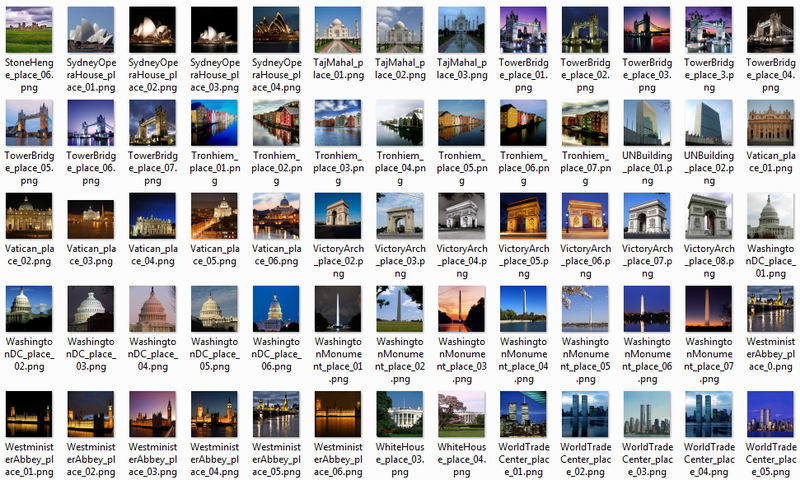 Contains pictures of famous landmarks all around the world. All pictures are under different lighting, angle etc. These pictures were acquired from the web, so I don't own anything and the copyrights still remain with the original owners. The pictures hosted here are purely for non-commercial and scientific use only. These pictures can't be reproduced in a publication without prior permission from the original owner of each individual picture. But that should not be a problem. You can just use non-copyright pictures for illustration purposes in your publication and use these copyrighted pictures in your actual stimulus presentation. If you are an owner of any of the pictures posted here and want your picture to be removed, let me know and I'll be happy to comply.